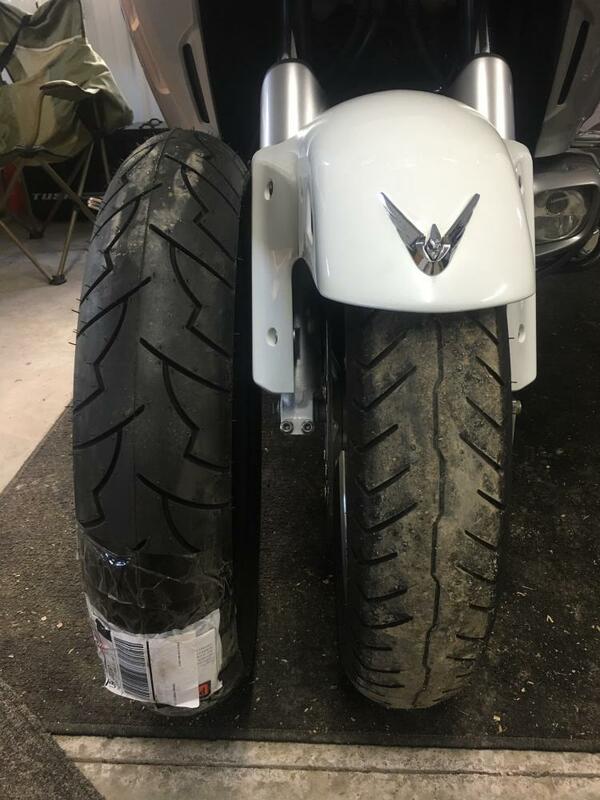 so your saying the old tire which is a front tire still on the bike facing the why the arrow says to mount it is mounted the wrong way? sorry but thats the correct way it goes on. No, I thought both the old and new tires were the same. I mounted mine in the direction of the arrow. It got me through Hurricane Bill, well the wind and the rain anyway and the tire never seemed to let go. I've heard people say they have those exact results from mounting it backwards. Right on the sidewall of that tire, it says for rear use only. It says that on both sides. So, to sum things up, there is no correct way to put a tire in the wrong location. 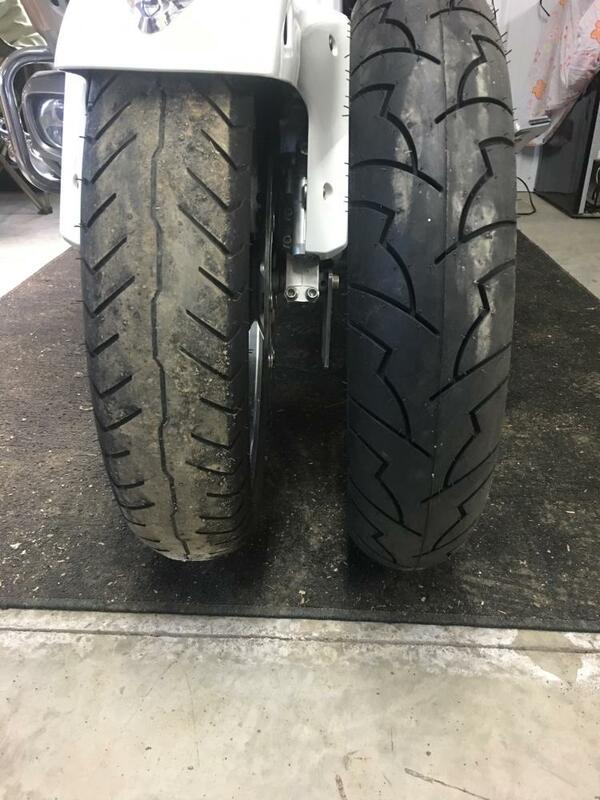 ok got the michelin pilot activ rear tire mounting it on the front so which way do we mount this thing is it the one with the new tire on the left or is it the one with the new tire on the right? I have worn out several of those, tried both ways. I can honestly say it doesn't make any difference.